03 Aug Hottest New Amenity For Creative Office Space? Parking! Pool tables might be a charming item to see in a creative office space, but when trying to attract and retain top talent in an industry, there is something that will be a lot more important. The commercial real estate industry is about to learn a new lesson regarding creative office space: If employees can’t park their car near the office, they are going to throw a major fit. The tenants are not going to renew, and they may try to break their lease. Why wouldn’t the employees be able to park in their new creative office spaces? Because instead of 4 people per thousand feet, the companies are now able to put 8 people into a thousand feet. With that, required parking for a “typical” creative space tenant has just jumped to double the amount of parking required for a non-creative office space tenant. Sure, some developers are building creative office space in major downtown metros such as New York, Chicago or San Francisco where creative employees might actually be using public transportation. But for the other markets, including Los Angeles, Houston, Miami, and Orange County, California and Stamford, Connecticut, cars are still the only vehicle of choice. Well, along with trucks in Houston, of course. This is a huge challenge for the industry. Creating additional parking, if there is even space to do so, is wildly expensive. And companies saving money by moving into creative office space with fewer square feet for more employees are not about to foot that bill. If you have room and can add surface parking, at about $4,000 per space, consider yourself lucky. Parking structures typically cost $15,000 per space, and that doesn’t include the cost of the land, or the entitlement process. And watch out if you’re a landlord with tenants who have signed leases and then converted their offices into creative space. 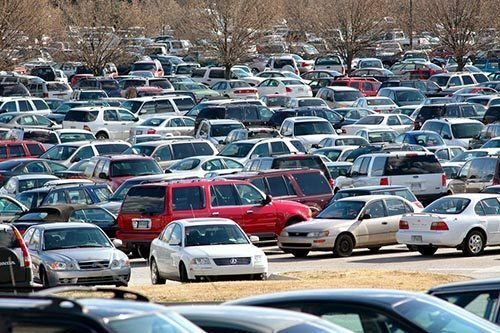 In one California city, a tenant has been given a specific number of parking spaces it was allotted, for which the tenant pays a per space monthly fee. This tenant has now added hundreds of employees into its space over the past year. The tenant can’t obtain any more parking spaces from the landlord, but the tenant is allowed to validate its parking – with no limit on the number of daily validations it can use. The tenant’s solution? Pay daily validation for its hundreds of additional employees all over the entire business park. While the tenant is paying thousands of dollars a month for its validations, the landlord is now suffering a new challenge. None of the other tenants in the business park have spaces for their vendors or client visitors, because the first tenant is using nearly all the parking in the entire complex, all day, every day, for its full-time employees. Now guess who has to get creative?